Jennifer Neuin’s entry was one of 675 submitted in Royer’s latest name-the-arrangement contest. But it ranked first overall when the judging was complete. Neuin, of Lebanon, won the contest with her submission of “White Satin” as the moniker for our new European-style arrangement. 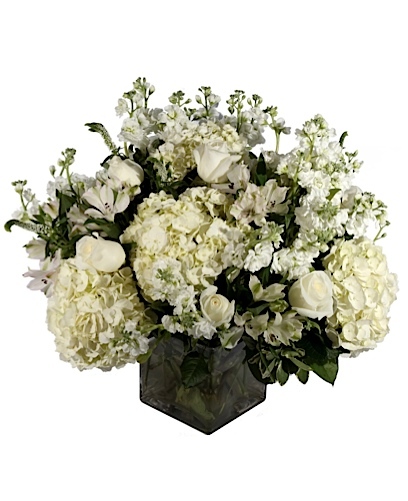 It comes in a clear glass cube and features three types of greens and white flowers: one-dozen roses plus alstroemeria, hydrangea, veronica and stock. Neuin will receive one of the arrangements after it debuts on Dec. 5. A similar contest during the summer generated more than 450 entries.